Metcheck.com - Weather News - Heatwave Peaks...For Now. The next couple of days will see some very hot conditions developing across southern and eastern parts of England and Wales as hot air from the south wafts up ahead of a cold front approaching from the west. Temperatures will reach the mid-thirties in places before potentially nasty thunderstorms break out in places tonight and tomorrow ahead of somewhat fresher air moving in for the weekend. Back to today and many parts of the country will see another fine day with plenty of strong July sunshine on offer for much of the day. The sunshine will help temperatures soar, especially across the south-eastern quarter of the country where maximums in the region of 32°C to 35°C are expected and with light winds it will feel very hot indeed. Some sea breezes will develop around coasts providing some relief here and it will also be progressively cooler the further north and west that you go with northern and western parts of Scotland only seeing highs in the mid-high teens at best. 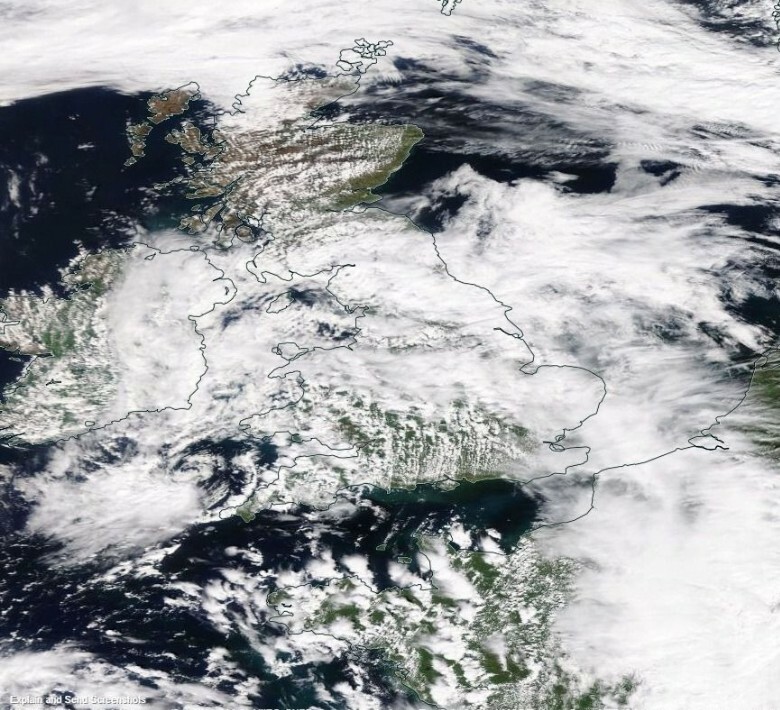 The heat may well spark one or two thunderstorms later on today across some eastern parts of England, and a band of cloud and rain will arrive across western parts of Ireland this morning before drifting slowly east across Ireland, reaching parts of Northern Ireland and western Scotland this afternoon. A hot evening will give way to a very warm night with temperatures in the southeast holding up in the low-twenties in places. There will be a continued storm risk across some eastern and north-eastern parts of England with some locally nasty storms possible but they will be hit and miss affairs. 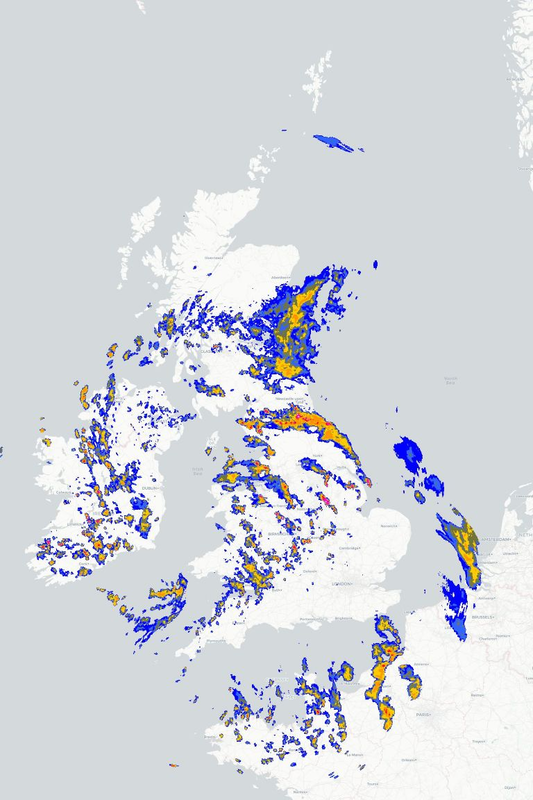 Elsewhere and many areas will remain dry although western regions will see that band of cloud and patchy rain continuing to push slowly eastwards in association with a cold front. This cold front will help to spark some potentially nasty storms in places tomorrow but ahead of these it will again be very hot in the southeast. Cooler and fresher air will follow the cold front into the west, reaching most places by the weekend bringing some relief to the southeast of England in particular, and there will also be some showers and spells of rain around.